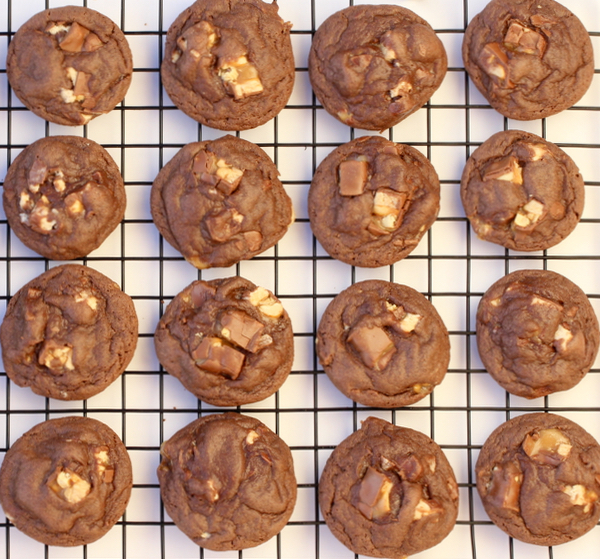 Get yourself a little satisfaction from this outrageously delicious Snickers Cake Mix Cookies Recipe! Today is a good day to have a cookie! Actually, every day is a really good day for a cookie, but that’s another matter! 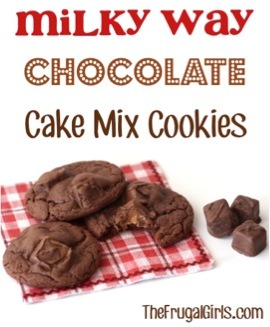 I am so excited to share with you this fun recipe for Snickers Cake Mix Cookies. 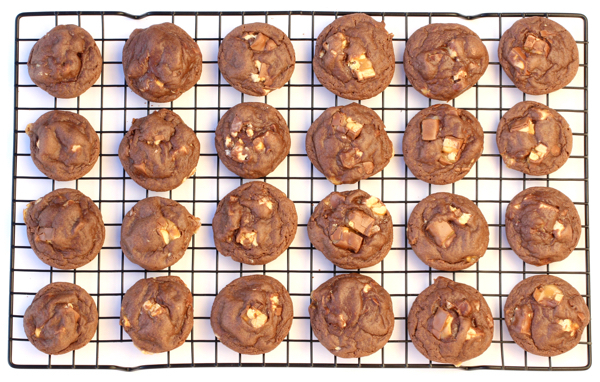 I think the best way to enjoy a Snickers, other than actually eating a Snickers, is by infusing that delicious and tempting candy bar into a cookie. 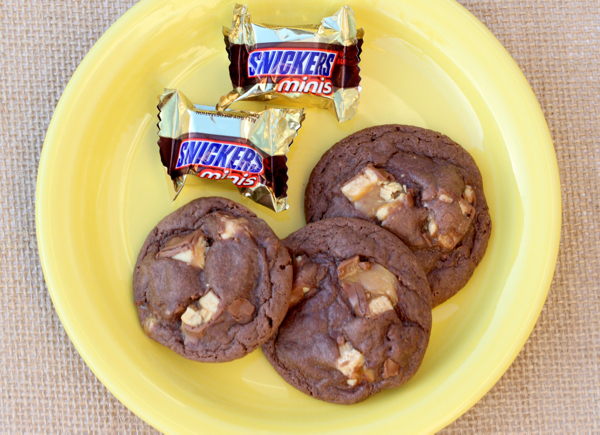 These fun Snickers cookies serve up some yummy Snickers in every bite… YUM! 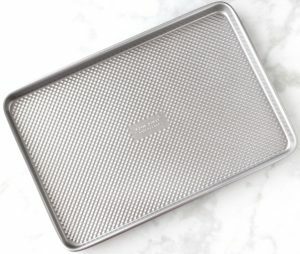 Get your cookie ingredients for free with this tip for how to get Free Grocery Gift Cards! Stir in chopped Snickers pieces with spoon. 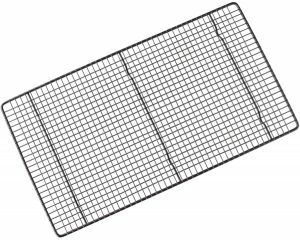 After dough has chilled, drop onto ungreased Nonstick Cookie Sheet in rounded balls. 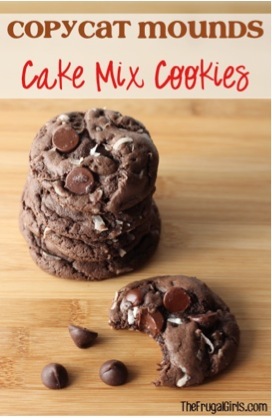 Ready for more amazing Cake Mix Cookie Recipes? 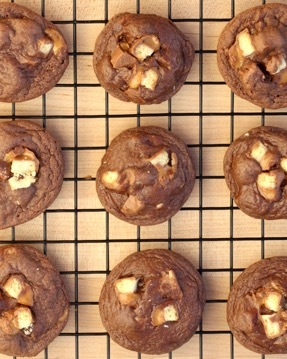 Watch out and don’t even think about blinking, or these addicting cookies will simply vanish! 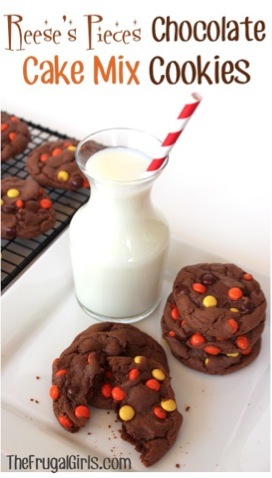 I promise you… this Reese’s Pieces Chocolate Cookies Recipe are out of control… in a good way! 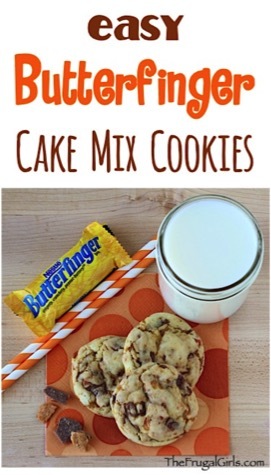 You are going to have grabby fingers all over the cookie plate when you make this delicious Butterfinger Cookies Recipe! 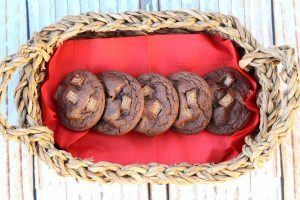 Get ready for some glorious Kit Kat goodness with this chocolate lover approved Kit Kat Cookies Recipe! Don’t take your eyes off the cookie jar, these fun little cookies have a mysterious way of vanishing into thin air! These Milky Way Cookies are out-of-this-galaxy-good! 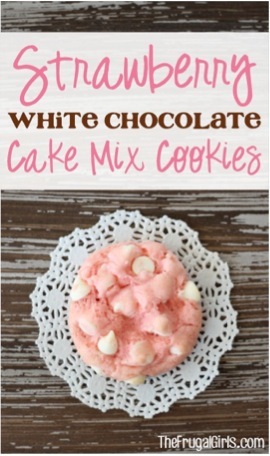 😉 Even better… they’re just 4 ingredients!! 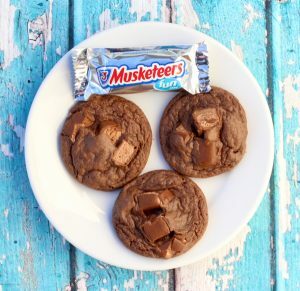 Cookie cravings and 3 Musketeer cravings both get conquered with this one insanely delicious cake mix cookie. Craving an Almond Joy Bar?? 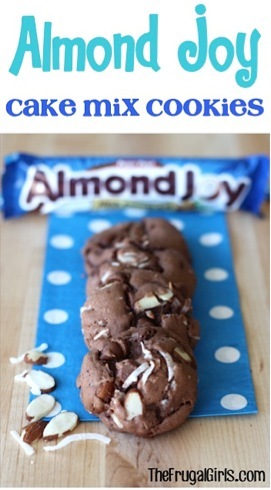 I’ve got a fun way to satisfy your fix… with these delicious Almond Joy Cake Mix Cookies! 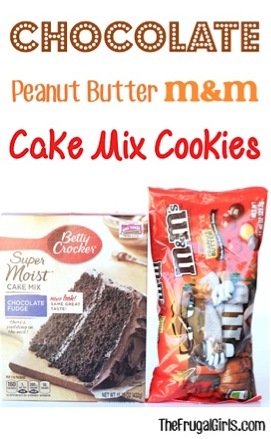 Today is a good day for some chocolate and peanut butter goodness and this Chocolate Peanut Butter M&M Cake Mix Cookie Recipe really delivers! 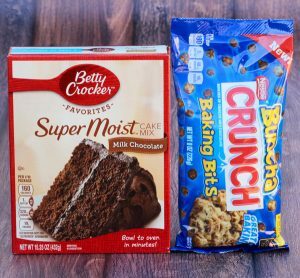 This Copycat Mounds Cake Mix Cookies Recipe is the perfect way to have your Mounds candy bar and cookie at the same time! 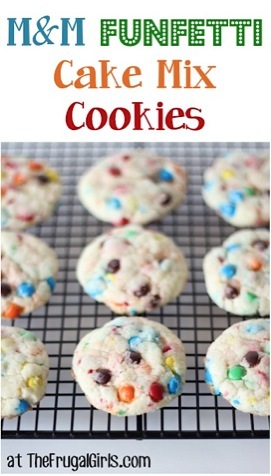 This Funfetti Cookies Recipe is just plain exciting! 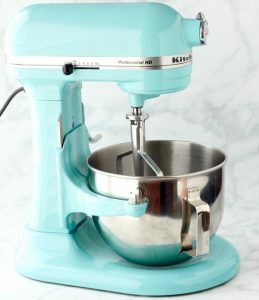 It’s like having the perfect party cookie! 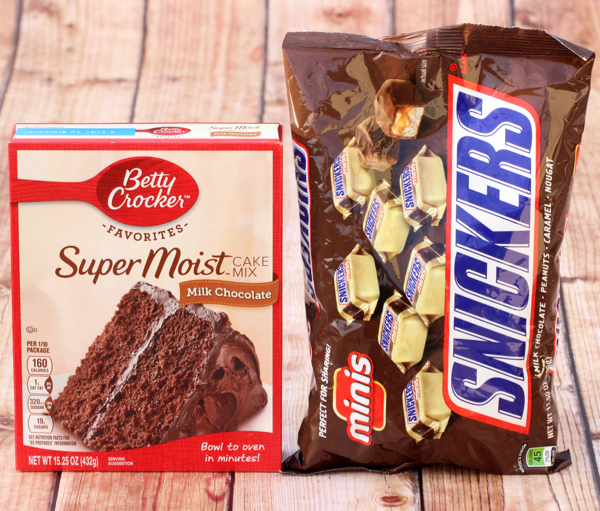 Tried these Snickers Cake Mix Cookies?